This year’s CES was full of laptops that looked like last year’s, but there were more than a few interesting exceptions. There’s been everything from GeForce RTX-equipped thin gaming laptops to AMD-powered Chromebooks to 17-inch desktop replacements with swappable CPUs. 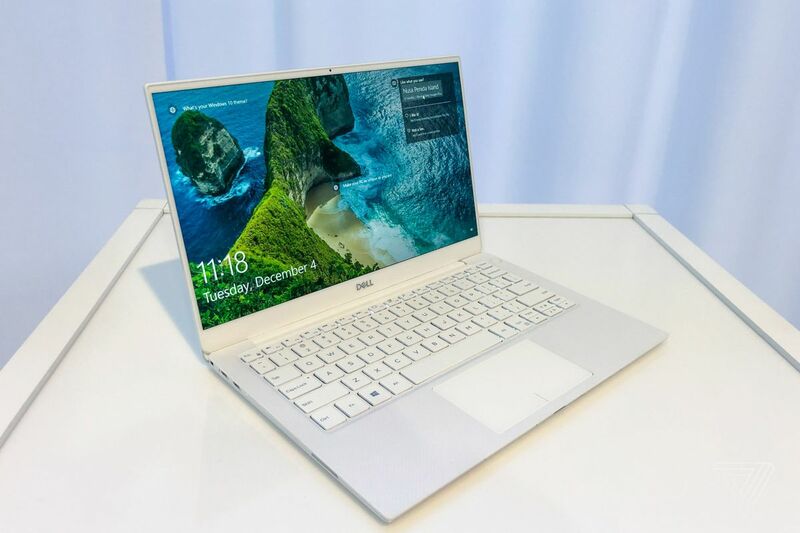 To cut through the deluge of announcements, we’ve rounded up what we think are the best laptops from CES 2019 so you can get a look at the tech that’s arriving in the year ahead. The Alienware Area-51m is unlike any other desktop replacement laptop. You can swap out the GPU and the desktop CPU, which is a practically unheard-of practice when it comes to laptops. 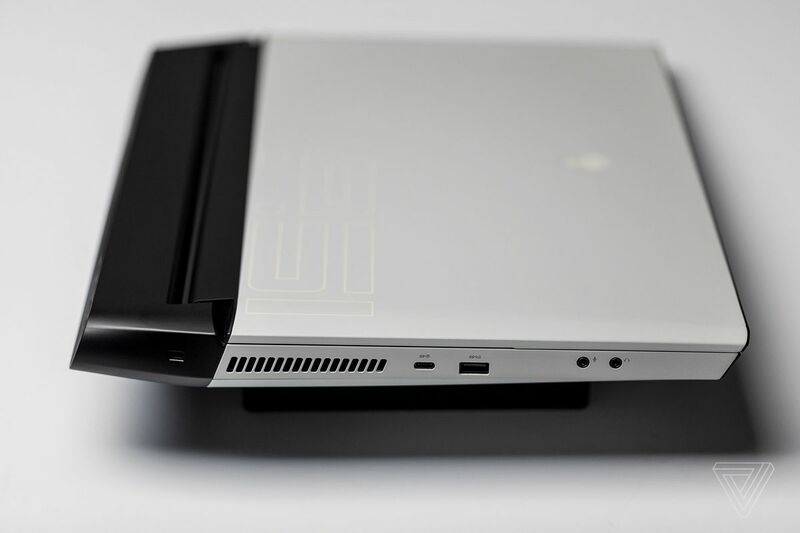 The Area-51m also represents a newer, cleaner design language for Alienware that will hopefully rub off on its competitors. The Area-51m’s starting price is set at $2,549, with sales beginning this month. Alienware resized its m15 Max Q laptop into the m17, a 17-inch desktop replacement complete with Nvidia’s new RTX mobile GPUs. 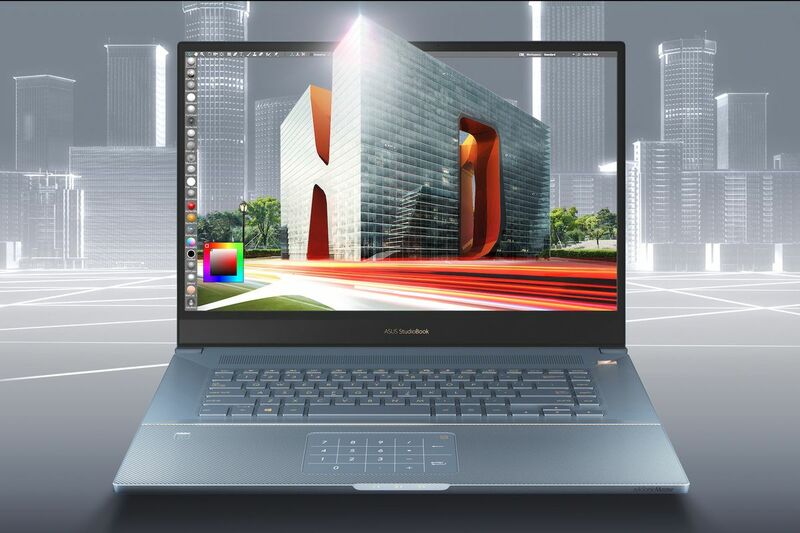 The new m17 is the company’s thinnest and lightest 17-inch laptop. It supports up to a Core i9 processor, measures 23mm thick, and weighs 5.79 pounds. However, Alienware’s display refresh rates are locked to 60Hz, for both the 1080p and 4K display variants, so keep that in mind if you’re interested in Alienware’s powerhouse. 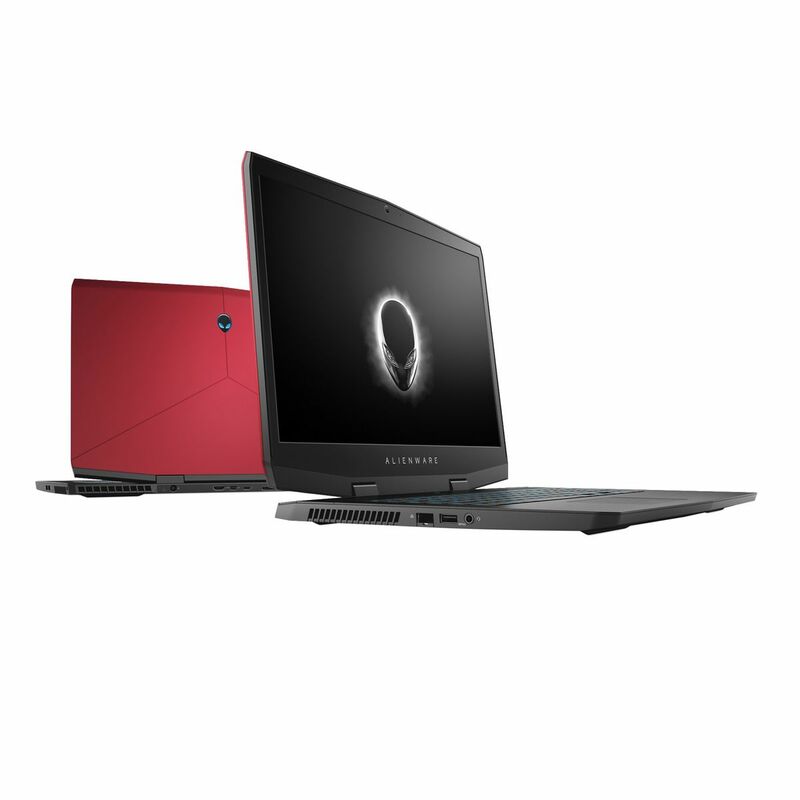 The Alienware m17 starts at $1,649.99, while the upgraded m15 with Intel Core i9 processors and RTX graphics will set you back $1,579.99. Razer also refreshed one of its laptops to take advantage of Nvidia’s new RTX mobile GPUs. The Razer Blade 15 Advanced edition will offer the RTX 2060, 2070, and 2080 graphics chip models. Alongside the new ray-tracing-capable GPUs, Razer once again included the Intel Core i7-8750H processor, 16GB of DDR4 RAM (expandable to 64GB), and finally, it added Windows Hello facial recognition into the webcam. The new Razer Blade 15 with RTX graphics is priced at $2,299, and it will be available starting on January 29th. What if the Surface Pro was a 17.3-inch, 10-pound gaming tablet? 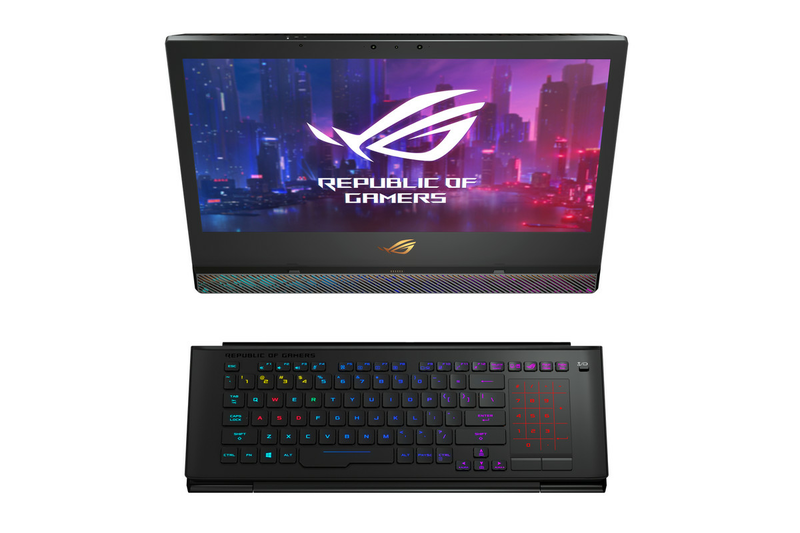 That’s what the Asus ROG Mothership is, in essence: the all-in-one, kickstand-equipped unit is detachable from the magnetic backlit keyboard and touchpad, making it one of the most unique if not effective gaming PC designs in recent memory. Like a plethora of gaming PCs that were announced at CES 2019, the ROG Mothership will support Nvidia’s RTX 2080 GPU, up to a Core i9 processor, 64GB of RAM, and a 144Hz 1080p screen. The Mothership will go on sale in Q1 of 2019. Pricing is currently TBA. Lenovo dropped USB-A support in the upcoming Yoga S940, embracing the future of USB-C ports that we’re inevitably headed toward. Besides that, the S940 is a compelling refresh for Lenovo’s Yoga lineup, thanks to a new contoured glass screen with minimal bezels and a reverse notch. Some of the Yoga S940’s other specs include 8th Gen Core i7 processors, up to 16GB RAM, and a 1TB max SSD capacity. No, your eyes aren’t deceiving you. That really is a protrusion at the top of the screen made for the Windows Hello facial recognition camera. Lenovo will begin shipping the Yoga S940 in May, starting at $1,499. Okay, the Asus StudioBook is really interesting. For one, it squeezes a 17-inch display into a 15-inch laptop body. Furthermore, Asus didn’t just slap some off-the-shelf display onto this machine. The Studio Book sports a 16:10 aspect ratio, color-calibrated, Pantone validated, 97-percent DCI-P3 color gamut, and 180-degree layflat screen. This is a laptop that looks and sounds like it was specifically created to take on the MacBook Pro and address complaints users have about Apple’s recent “pro-level” laptops over the past couple of years. 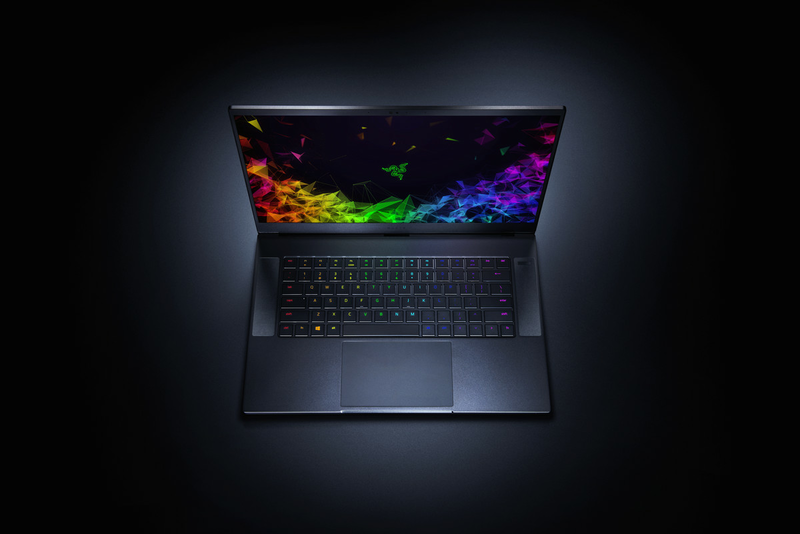 The StudioBook supports up to 64GB RAM, 4TB of storage, a hexacore Intel Xeon E-2176M processor, and Nvidia Quadro P3200 graphics. Asus will start shipping the StudioBook in Q1 of 2019, although pricing is still unknown. Continuing with the resurgence of 17-inch laptops, LG announced the Gram 17, the lightest 17-inch laptop on the market. While LG may not be the first brand that comes to mind when thinking about laptops, the Gram 17 is a well-equipped machine on paper. 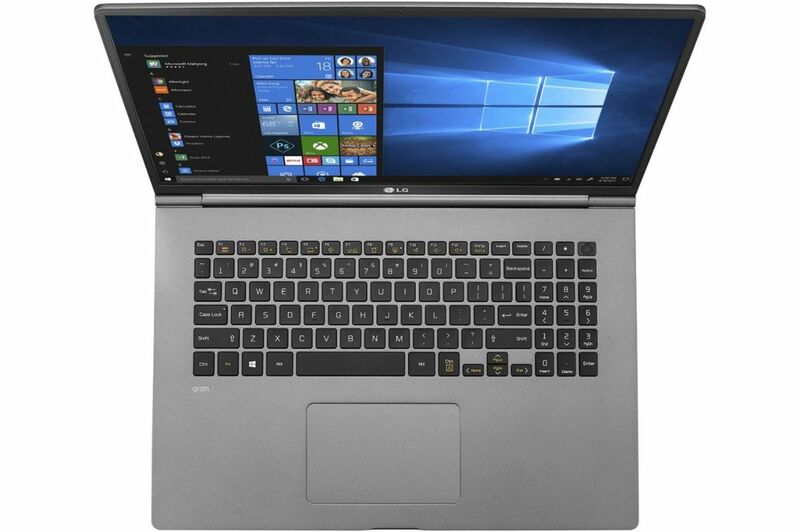 It sports Windows Hello fingerprint sign-in, a 2560 x 1600 display resolution, an 8th Gen Core i7 processor (the 8565U), 512GB of storage, and 16GB of RAM. That’s all in a package that weighs just under three pounds. The LG Gram 17 will cost $1,699.99 when it launches later this year. After four years of putting the webcam on the bottom bezel of the screen — which is the wrong place, thank you very much — Dell finally put the webcam on top of the XPS 13’s screen. 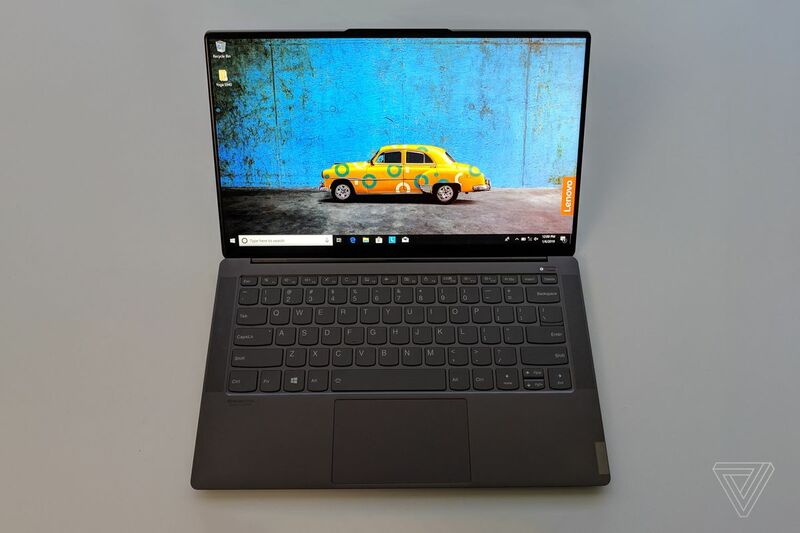 Now that you can breathe a sigh of relief (and avoid looking up at your nose hairs), you’ll be glad to know that the XPS 13 also supports 8th Gen Core i3, i5, and i7 processors. The new Dell XPS 13 is available now, starting at $899. 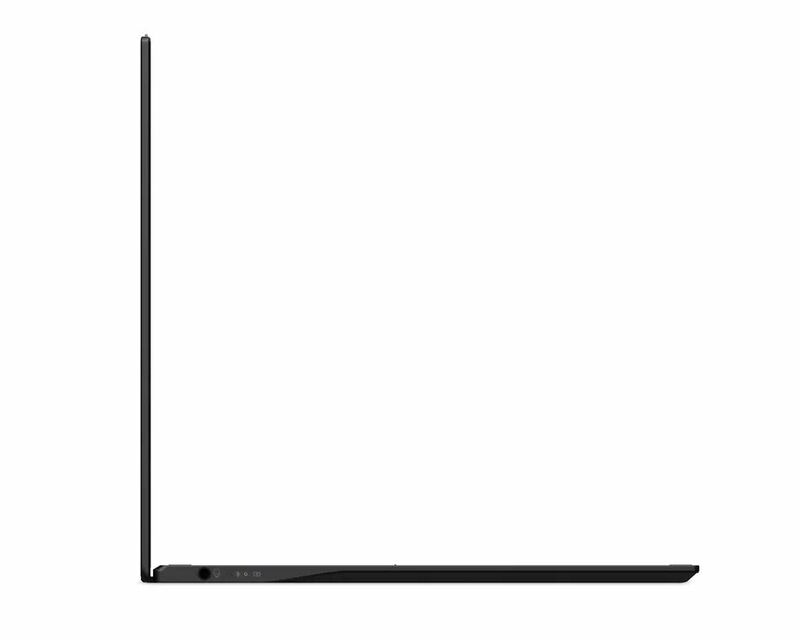 The Acer Swift 7 is a thin, svelte ultrabook, measuring just 9.95 mm thick (0.39 inches) and weighing 1.96 pounds. It has extremely thin bezels flanking its 14-inch, 1920 x 1080p screen. You get two Thunderbolt USB-C ports, an audio jack, an 8th Gen Intel Core i7-8500Y Amber Lake processor, with 256GB or 512GB of PCIe SSD storage, and either 8GB or 16GB of LPDDR3 RAM. To top it off, Acer claims the Swift 7 should achieve in 10 hours of battery life. The Swift 7 will be available in North America in May, starting at $1,699, with earlier April launches in Europe, the Middle East, Africa, and China. Laptops with OLED displays are still rare, but that’s slowly starting to change. At this year’s CES, HP introduced the world to a new Spectre x360, the first 15-inch laptop with an OLED screen. 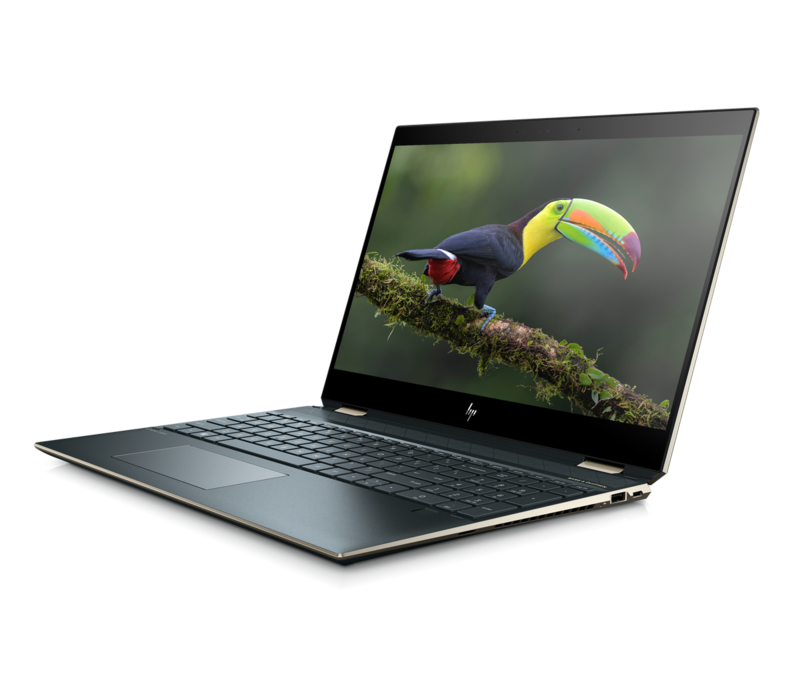 This variant of HP’s premium, mainstream convertible laptop is going to sport an 8th Gen Intel Core i7 processor, 16GB of RAM, and 512GB of PCIe SSD storage. While HP hasn’t confirmed battery life or pricing details, the Spectre x360 is confirmed to start shipping in March. As Business Insider points out, HP wasn’t the only company to announce an OLED laptop screen this week — so did Dell and Lenovo — so adoption could be picking up. Are you ready for the protruding notch trend? Ready or not, Asus is going to release the ZenBook S13, a laptop with a notch designed to house the webcam and keep the bezels as narrow as possible, all the way down to 2.5mm on either side of the screen. Speaking of the screen, the ZenBook S13 will have a 13.9-inch 1080p display, powered by a discrete Nvidia GeForce MX150 graphics chip. Also rounding out the upcoming laptop’s specs is an 8th Gen Intel Core i7 processor, up to 16GB of RAM, and up to 1TB of PCIe SSD storage. Asus will launch the ZenBook S13 in Q1 of 2019, although pricing is currently unknown. 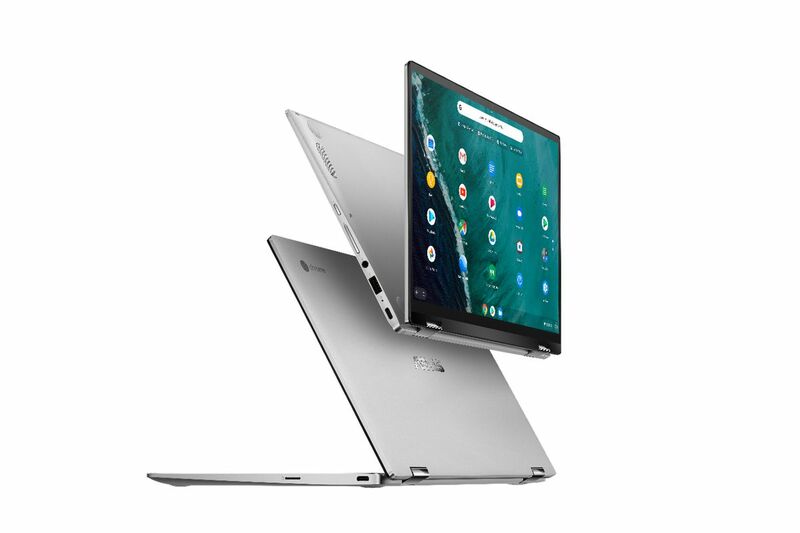 Asus has a new convertible Chrome OS laptop called the Chromebook Flip C434 that will go on sale “in the coming months.” It has a fairly standard 14-inch touchscreen, the latest Intel Y-Series processors (Core i7-8500Y, i5-8200Y, or M3-8100Y), a max of 8GB RAM, up to 128GB of built-in storage, and a microSD card slot for expandable storage. 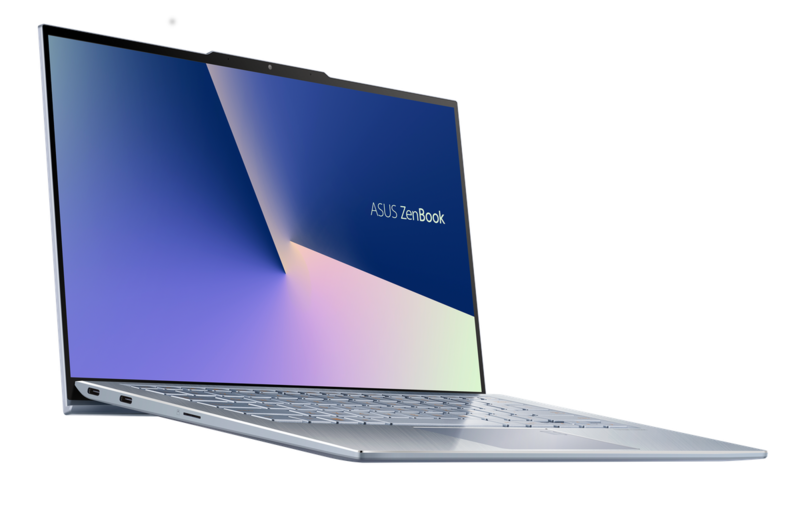 The Asus Chromebook Flip C434 will launch later this year, starting at $569.